Situated close to the historic town of Saint-Jean-de-Monts within the Vendee region of France, the luxury camping site of La Plage is a perfect retreat for anyone who has been searching for a modicum of peace and tranquillity. As it is located no more than 300 metres from the beach, those who have been looking for fun in the sun will not be disappointed. Please speak with a LUX-camp representative for further details. Why Should I Camp at Camping La Plage? The ability to visit countless nearby villages. 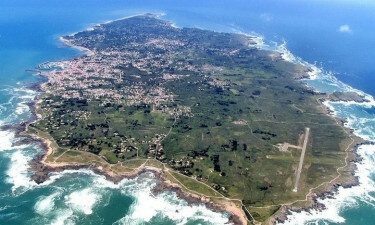 Immediate access to the stunning Vendee countryside. Accommodation includes a variety of mobile homes. There are a number of fun maritime activities to choose from. Anyone who is a fan of water will be pleased to learn that this holiday camping site is found quite close to the Atlantic coastline. These shores can be reached in a matter of minutes, as they are located within the campsite itself. Camping luxury is further defined, thanks to an open-air pool and the addition of a play area for children. Some of the facilities to be found here include washing machines, tumble dryers, private washing cubicles and a baby changing station. 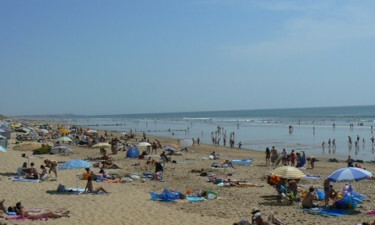 Camping La Plage offers shopping facilities and grocery stores. These are open during the height of the tourist season. 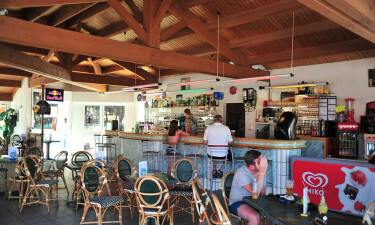 Snack food outlets can be found here, as well as a brasserie that serves up pizzas, international foods and meals to go. A small souvenir shop is also centrally located within this luxury camping site.